Those interested in Vesconite or Vesconite Hilube rods, bushings and plate are reminded that Vesconite Bearings, the maker of the two self-lubricating thermopolymers, has a Netherlands warehouse that can dispatch products to European customers within one day. The warehouse has substantial stock of these standard items, and is able to supply these products to Europe much more quickly than would be possible from the South African factory. 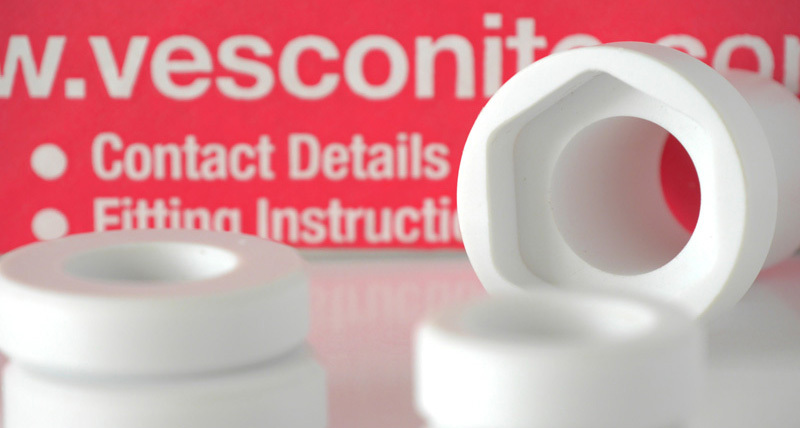 Customers in Europe who order from the Vesconite Bearings Netherlands warehouse typically have their own machining capacity to machine the component that they desire. The Netherlands has long been an important market for Vesconite and Vesconite Hilube, which is often used in the country’s strong marine sector as well as its water sector, in which pumps play a significant role. Europe, in general, is a similarly strong market for Vesconite and Vesconite Hilube that will be used in the marine, agriculture and pump industries. The polymers are particularly desired in the pumps industry in lineshaft, pump bowl and stuffing box bearings and in wear rings. These bearings and wear rings have been developed for global original equipment manufacturers as well as for repairers who use Vesconite and Vesconite Hilube in preference to various OEM parts. The polymers do not swell, unlike nylon, and show low wear compared to acetal bearings. They thrive with water as a lubricant and are also suitable in dirty and poorly-lubricated conditions. Vesconite and Vesconite Hilube bushings have solved thousands of bushing problems in demanding applications in many industries worldwide – especially in applications where there is a lack of lubrication, dirt is present or water is a problem. The thermo-polymer bushings ensure longer bushing life, reduce maintenance, reduce shaft wear, can run without grease and solve problems in wet conditions.